This is the individual party bag size. A party bag contains five pieces of caramel in each. 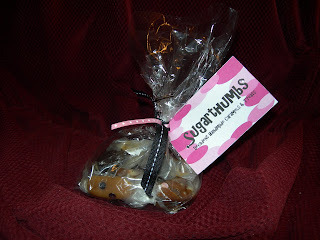 An assorted bag contains six pieces - two of each caramel flavor. Pricing is based on product ordered. This is the standard order size. 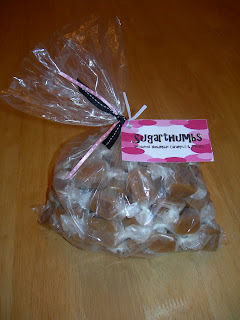 Each bag contains 60 (5dozen) individually wrapped caramel pieces. This applies to all caramel flavors. Pricing is based on product ordered. Gorgeous and SOOOOOOOOOOO Yummy!!!!!! You Rock!! !